Every winter, we are all-too familiar with the social and economic impacts of influenza and related viruses. In the UK around 600 people die of influenza and related infections every year. General Practitioners play a leading role in the UK’s national immunisation programme, with vaccines costing the NHS circa £200 million per year. Temperature is a key factor in the efficacy of vaccines. Many refrigerators used to store vaccines are not operating to the correct temperature. JPen Medical finds at least 10% of all vaccine fridges inspected per year are not cooling to recommended temperatures. Relatively easy but important steps can be taken to prevent this. Our top tips from a leading medical equipment safety testing business helps community-based healthcare providers maintain best practice for storing vaccines - also called cold chain management. JPen Medical offer a full 14-point vaccine refrigerator service solution including practice staff training for best practice in vaccine fridge maintenance, stocking and re-setting. 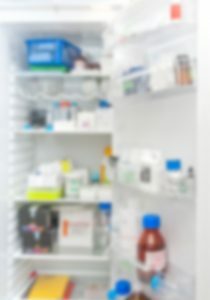 Many GP practices across the country are adopting annual full fridge servicing to ensure their cold chain is as well-protected as possible and the chances of fridge failure are minimised, according to Green Book guidance. Why not contact us to find out how we can support your cold chain best practice?